Royal Ontario Museum - Ampersand Inc.
Royal Ontario Museum is among the world’s leading museums of natural history, and of world cultures. 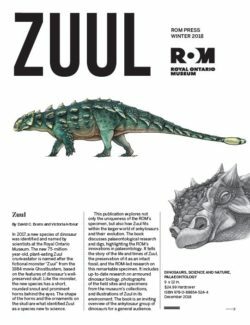 Indeed, in combining a universal museum of cultures with that of natural history, the ROM offers an unusual breadth of experience to visitors and scholars from around the world. It is the ROM’s mission to engage the public in exploration of cultural change and to serve as an advocate for science in the study of nature. For more information on Royal Ontario Museum, contact Ampersand.